The Confetti Popper was totally worth it. And then I twisted the Confetti Popper. The incredibly loud noise it made scared Annabelle to death, who by the way is terrified of firecrackers. Confetti went everywhere. Noah laughed hysterically in delight. Annabelle sobbed. Anthony and I laughed at the kids’ reactions. 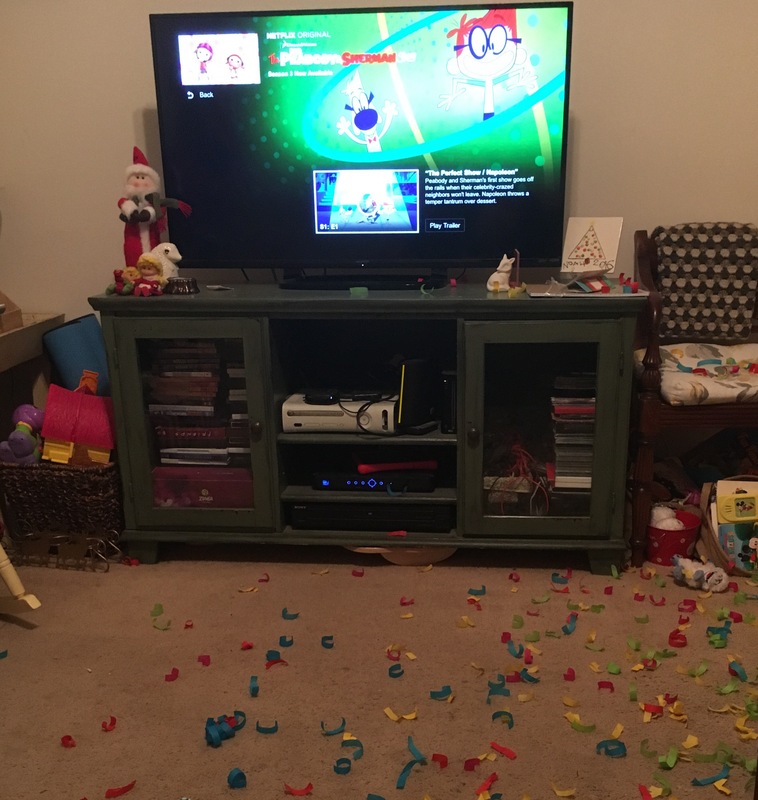 My living room was covered in confetti. Best part? Once the children calmed down they spent two minutes cleaning up all the paper into a pile to jump into. We have no trees in our yard, and the kids have been dying to jump into a pile of leaves, so they’ve got to make do. 10/10. Next year I’m buying the 2 ft tube. Happy New Year, everyone! May God show you His face this year. ← I’m not like those other moms. I’m a cool mom. After reading this, I made Mac go to Walmart and buy four big ones for us to pop off with the grandkids! The twins turn 4 in February so I think they will be great fun and might annoy their parents! They will love it! I’d love to see pictures!